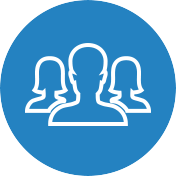 We value and treat our patients like they are members of our families. 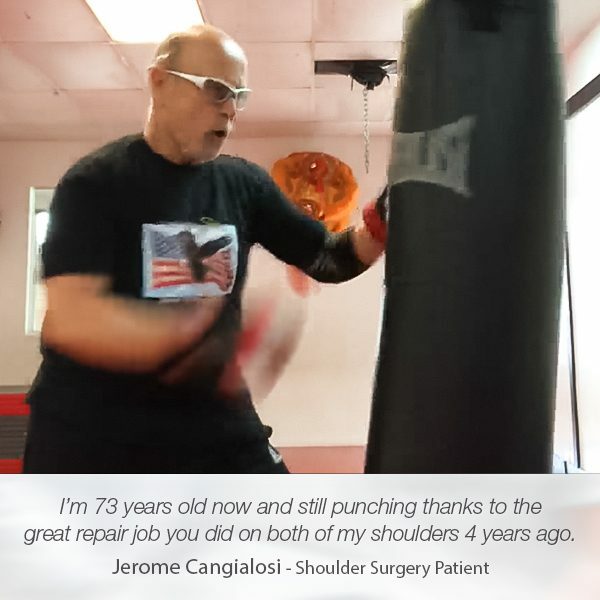 We are always honored when they entrust their well-being to us, and choose us to be the guardians of the health of their shoulders and knees. 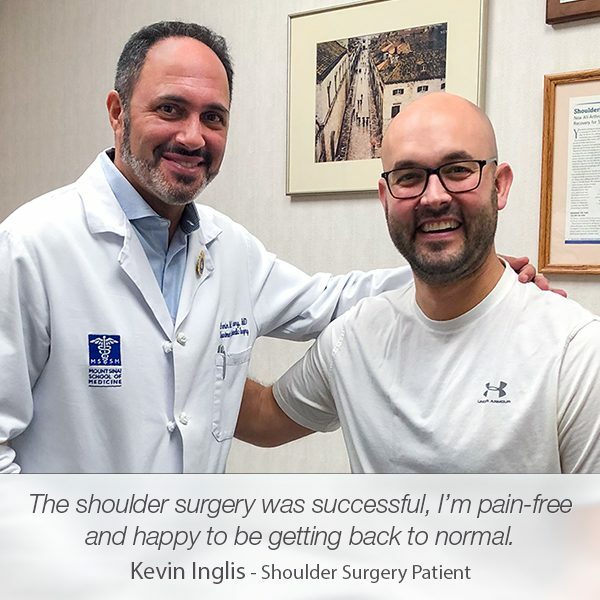 When Gunnery Sergeant William Morris chose to have his knee treated at Manhattan Orthopedic Care, we were beyond honored to take care of the orthopedic health of a man who wholeheartedly serves our country. In January, Sergeant Morris visited Manhattan Orthopedic Care for an annoying pain in his knee that prevented him from fulfilling his duties. During his appointment with Dr. Tehrany, he was immediately impressed with the team’s commitment to providing the most comfortable and soothing environment for him and his family. 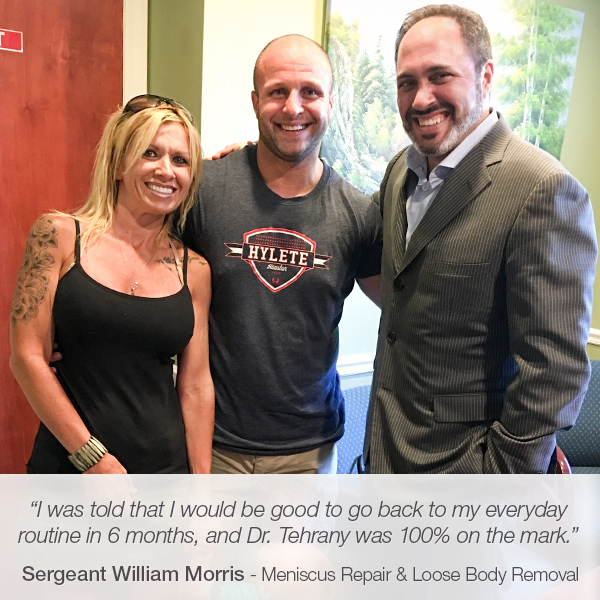 After the thorough and careful examination, Dr. Tehrany told Sergeant Morris that his knee has suffered a meniscus tear that needed an immediate attention. Sergeant Morris had only one request: to be able to go back to his law enforcement job as soon as possible. 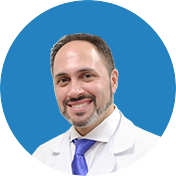 With the utmost understanding of his condition and his desire for a fast recovery, Dr. Tehrany recommended a meniscus repair as the best treatment option. 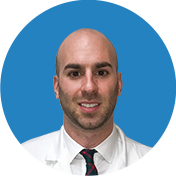 The arthroscopic meniscus repair is an outpatient procedure performed to repair the torn knee cartilage. The goal of this knee surgery is to preserve healthy meniscus tissue. 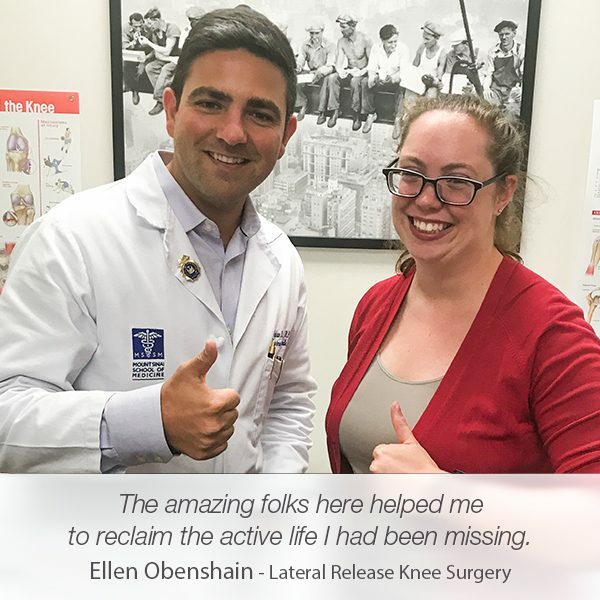 As a highly experienced knee surgeon who has successfully performed the meniscus repair numerous times, Dr. Tehrany had no doubts that the procedure will enable Sergeant Morris to get back on his feet in the shortest amount time. 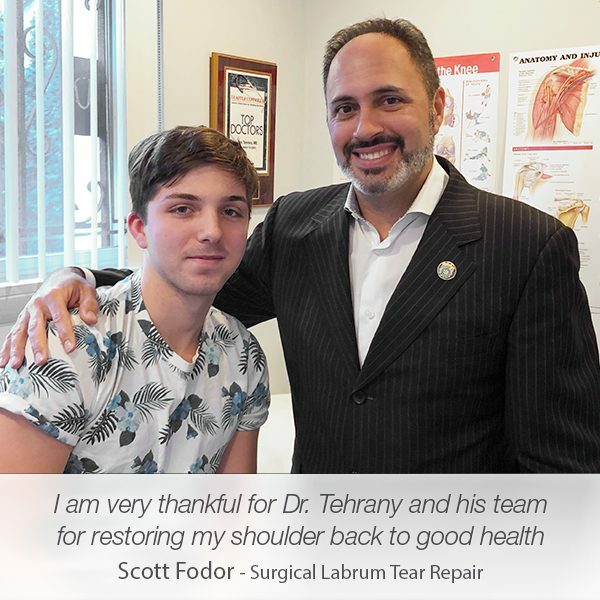 During the recovery period, Dr. Tehrany and his team provided the most convenient environment for Sergeant Morris and his family. They were available to answer every single question, explain each detail about the steps of the recovery process, and ensure the family that Sergeant Morris will up on his feet in no time. During the surgery, the arthroscope revealed loose bodies in the knee joint that could have caused serious issues in the future. 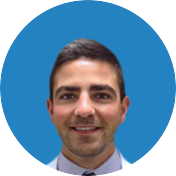 After the meniscus repair, Dr. Tehrany performed loose body removal and thoroughly cleaned out the knee joint.